Allow Kim Kardashian to introduce Chicago West! The KKW Beauty founder took to Instagram on Monday afternoon to share her first-ever photo of newborn daughter, Chi, that shows her face head-on. 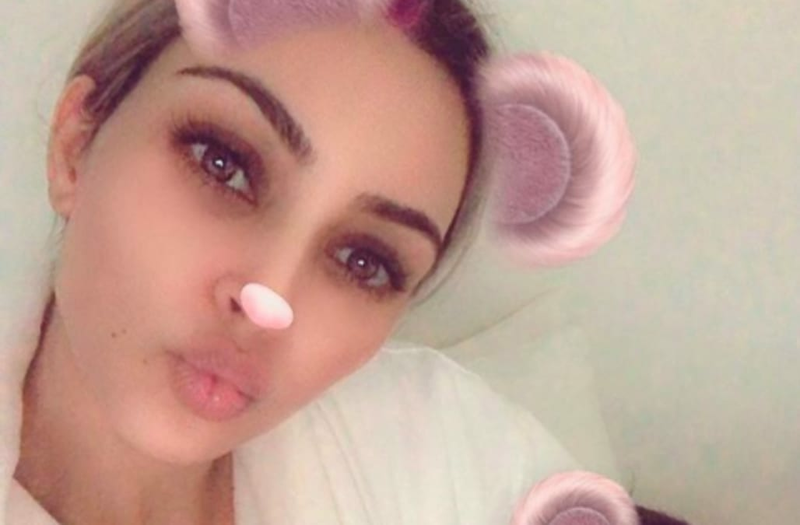 In the adorable selfie, Kim and Chi have an animal Snapchat filter on their faces as the mother-daughter duo looks into the camera in bed. It's unclear when the photo was taken, but it has to have been at least a few days ago, as Kardashian's platinum blonde locks are still intact -- and she dyed her hair pink over the weekend. "Baby Chicago," Kim captioned the cute selfie. Baby Chi had been seen indirectly before -- most notable in Aunt Kylie Jenner's baby announcement video posted earlier in February -- but this is the most direct image the public has seen of Chicago, whom Kim and husband Kanye West welcomed via a surrogate on Jan. 15. They're also parents to daughter, North, and son, Saint.